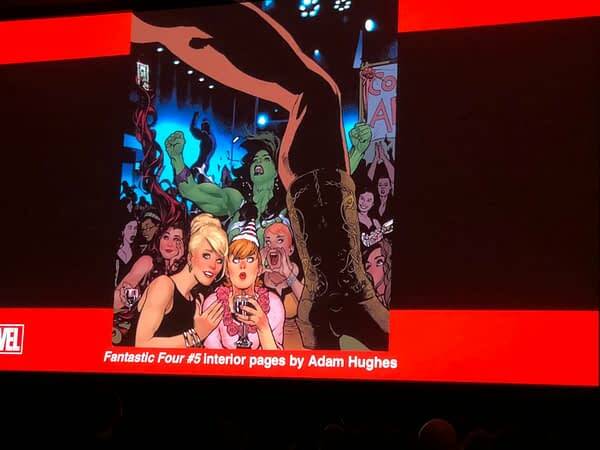 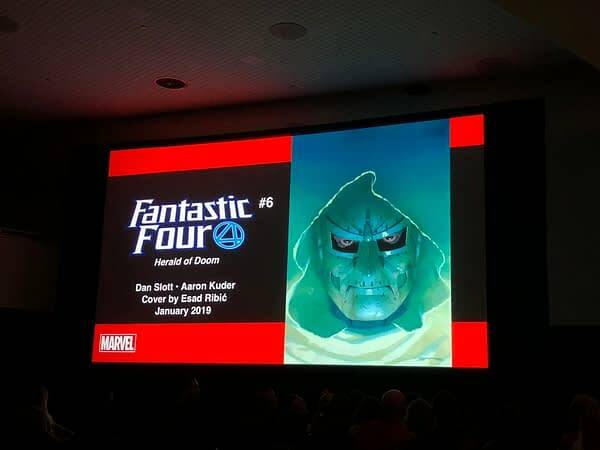 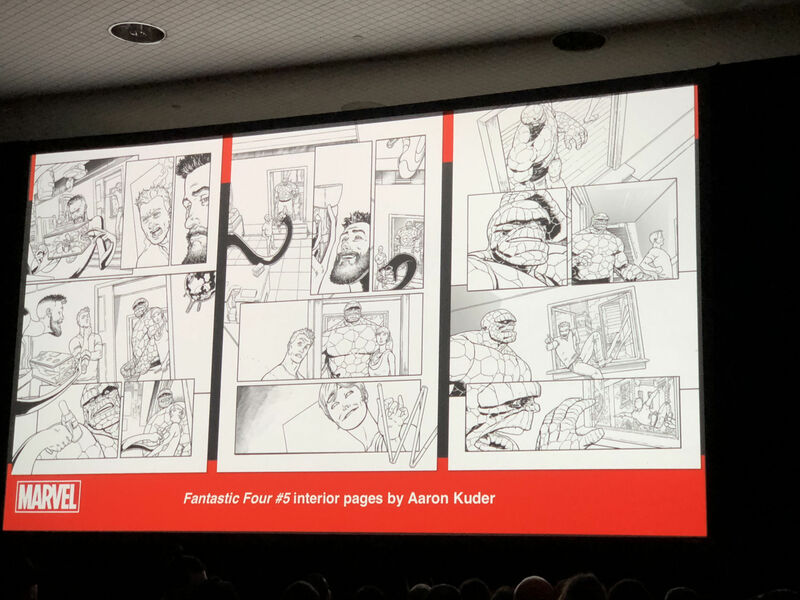 From the Marvel Next Big Thing panel at New York Comic Con, we got a look inside the upcoming Fantastic Four #3 by Dan Slott and Sara Pichelli. 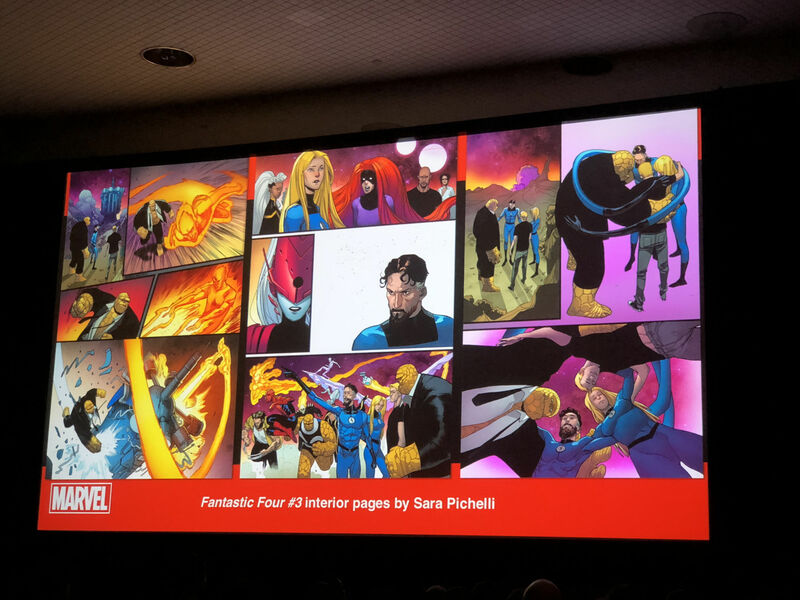 “it will be the most FF-ish place they could go” that isn’t the Baxter Building. 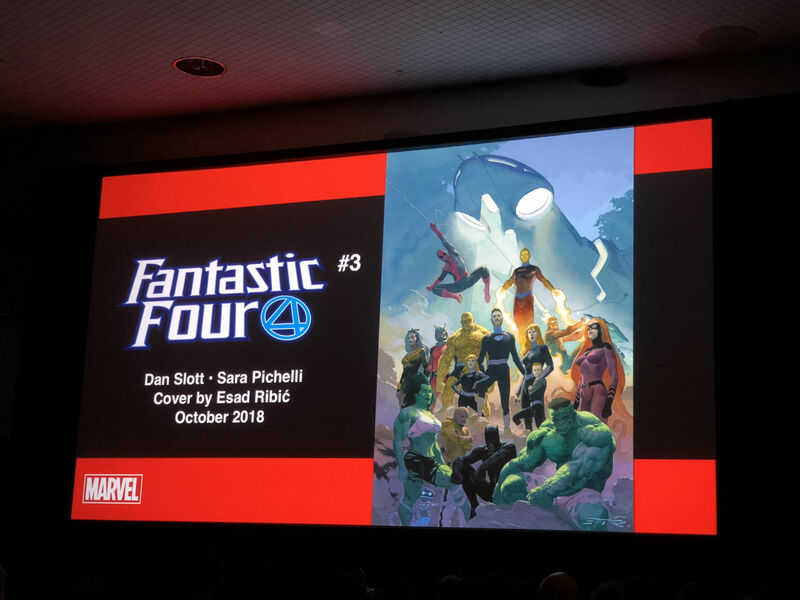 Fantastic Four #3 will be a month later, out on November 14th.